BOOK SUMMARY: The lovely story of a young orphan who is accidentally placed in the quiet town of Avonlea. 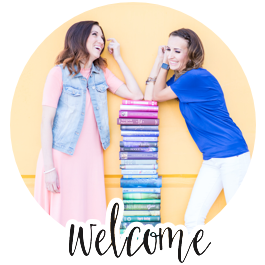 Anne’s story of her scrapes and successes pulled our book club right into Anne’s world. This coming-of-age novel is full of characters you instantly love and stories you feel in your young-girl heart. Our group of ladies came to discuss this book as though we were all solid members of Anne’s Story Club. Our background on this influential literary rock varied from never-read-it to read-it-loved-it-have-the-movies-memorized; however, our consensus on the book was almost unanimous in its approval. WE LOVE ANNE. Some of us listened to the audiobook and there are many versions out there but there is one on Audible that is read by Rachel McAdams and it is really good. To start the evening off, Robin brought us up to speed on the history of this novel. 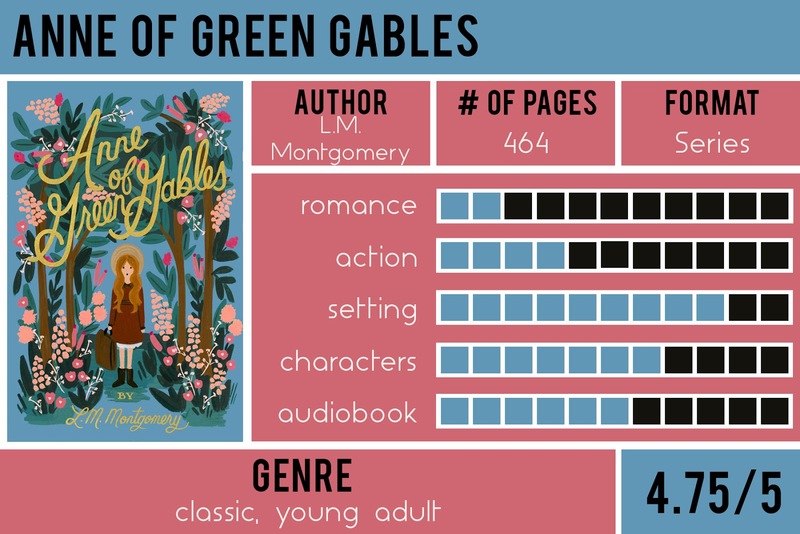 Written in 1908 by Lucy Maud Montgomery, Anne of Green Gables has been a must-read children’s novel since the mid-twentieth century. We discussed the global impact this book has had. It is widely read in Asia- with a fan following that has influenced Japanese culture immensely. 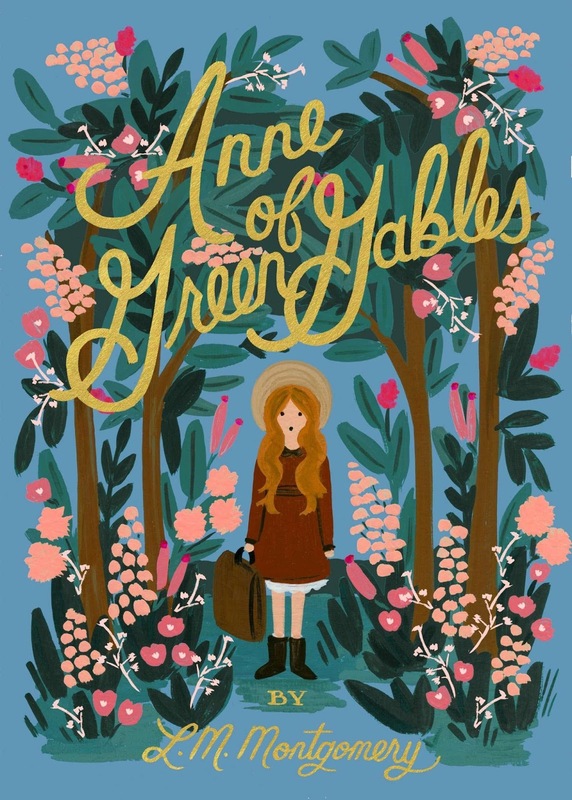 If you ever have time to dive deep into interesting cultural craziness, just go ahead and google “Anne of Green Gables Japan.” You are going to love it. 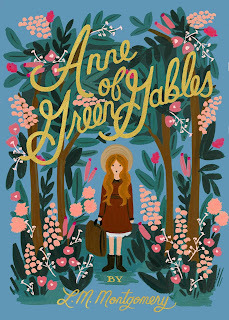 Because Anne of Green Gables was written prior to copyright laws, it falls under public domain. This left AoGG open to being claimed by other authors and victim to fan fiction modifications. We were all so glad that the original copy was persevered and that Montgomery’s world is still very much alive! Anne’s puffed sleeve obsession and winded, imaginary daydreams really did pull us in as readers. To conclude, Robin asked us all to tell our favorite Anne moment- and we all giggled through the stories. If you haven’t read this book or you read it so long ago that you can’t remember how much you don’t like Josie Pye, READ IT AGAIN. And again. And again…. ABOUT THE AUTHOR: Lucy Maud Montgomery is a Canadian writer who, despite an unhappy home life, had an ability to make her readers smile. Her first book was Anne of Green Gables and it truly established her as a main player in the writing world. Montgomery took a break with Anne stories not long after her marriage but later wrote again on Anne’s adventures. 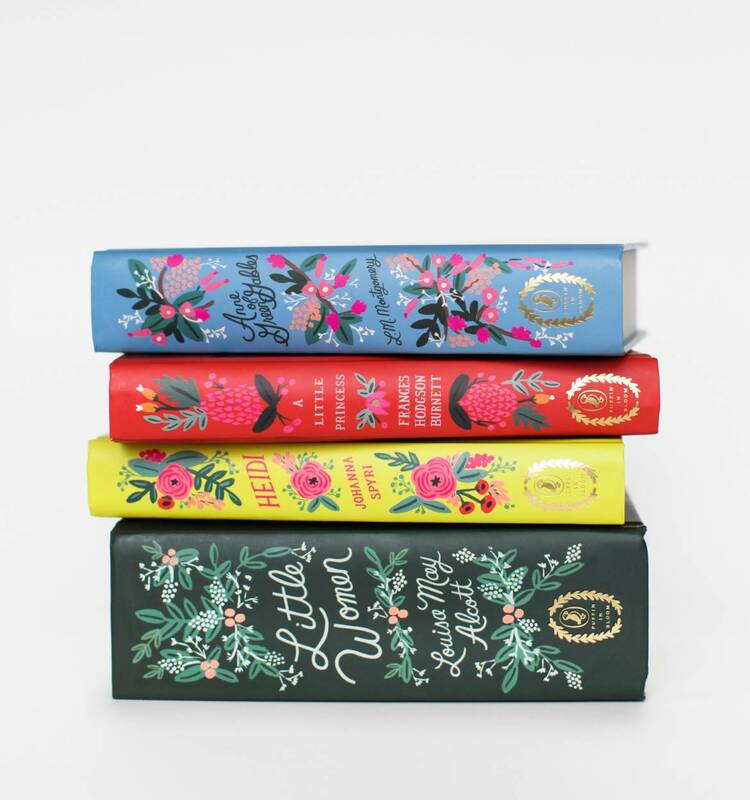 The book cover at the top is from the Puffin in Bloom Box Set along with Little Women, Heidi, and A Little Princess (which we are reading next year!) You can also buy them separately. Many thanks for the wonderful share! Thanks for sharing your thoughts. I really pleased about your attempts and I will be waiting for your extra post thank you once again. Nice article and pleasant arguments commented here, I am genuinely enjoying by these. Your post is incredibly little however everything is incredibly open and extremely clear rationalization of topic. It contains really info; your web site is incredibly helpful. Refer Custom essay writing service for the writing benefits!